I've recently stumbled across something called The Gallery on other blogs, and have decided to join in. This week's theme is colour, so here are a few images which sum up colour in my life. First there were the white cats, here's my darling Yuri posing. I'm sure he knew how well his pure whiteness would be showcased against the vibrant pink bath mat. Then there was the husband, on our wonderful wedding day, the only sunny day of summer 2009! We loved our photographer, Chris's idea of using the beach huts as background, and I love how the lilac of Steve's shirt contrasts so beautifully with the pastel shades. Then there was my beautiful Lara. The other Chris, at The Photography Lounge really did us proud with this photo shoot when she was about ten months old. And finally, our latest addition, the gorgeous Sophia, pictured here with Nanny at just two weeks old. That's colour for me, what colour is there in your life today? 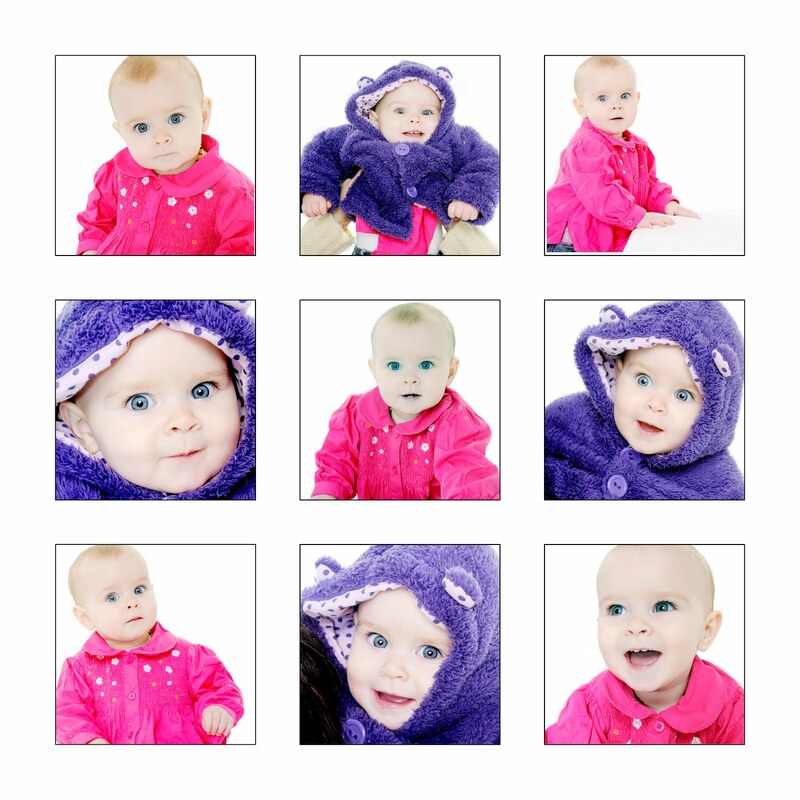 Aw gorgeous pictures and lovely colours! What gorgeous babies!! Such vibrant colours, wonderful pictures them all.